Now in its fourth year, this ever popular event continues to sell out with a mixture of excellent organisation, beautiful scenery and challenging routes. Now in its fourth year the Southern sportive has somehow managed to pull off great weather every year and with a clear blue sky and a lovely autumn sun, it looked like they had just done it again this year. 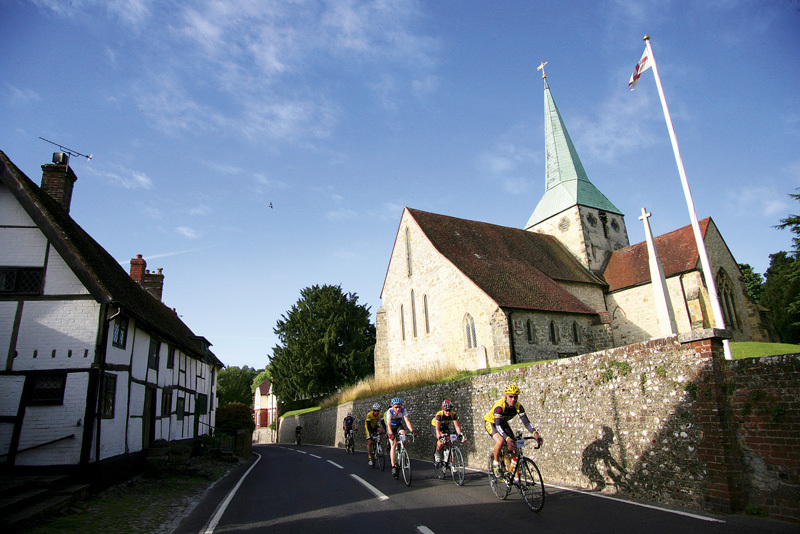 The event base at Churchers College Petersfield, offers a grand backdrop to what has become a South Coast Classic. 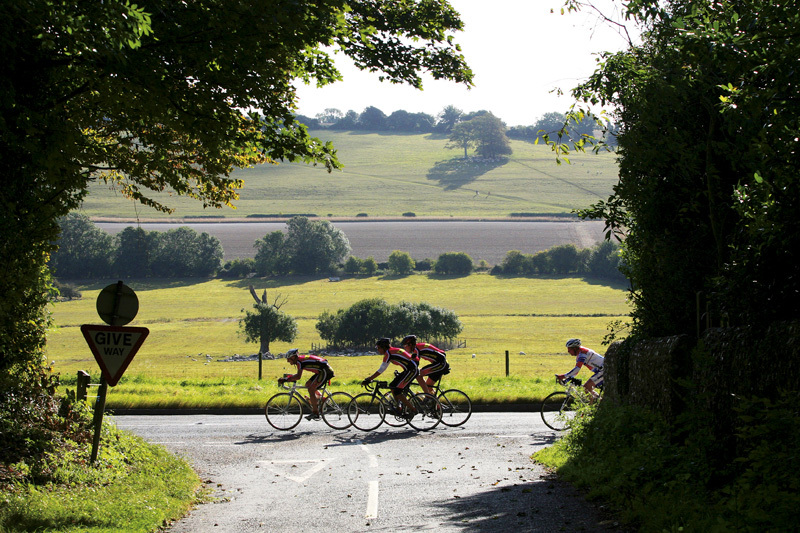 The route is not advertised as a “leg breaker” and the organisers are keen to point out they never want it to be, but don’t be deceived the South Downs is a formidable opponent for any cyclist of any ability. 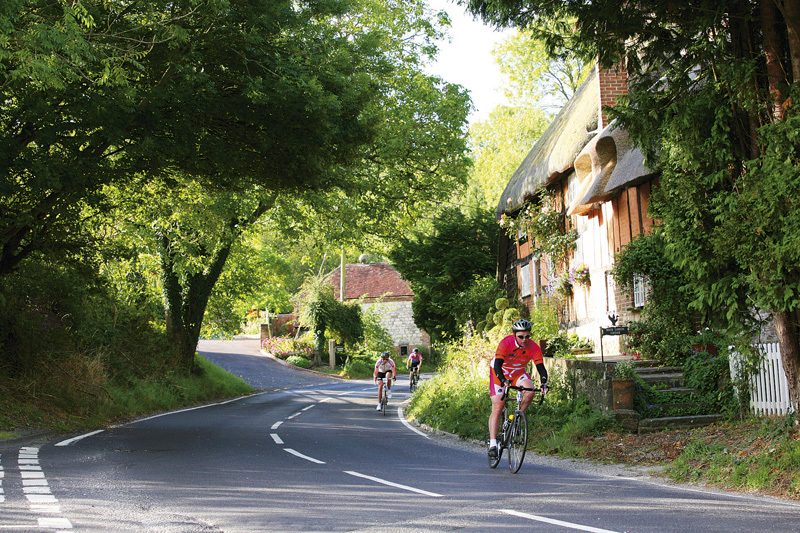 Petersfield sits neatly at the base of the downs and offers great access to some of the best climbs the south has to offer. But then its not all about climbing! – the route winds its way through picturesque villages and winding back roads before taking on long sweeping descents towards the coast and If you ever find time to lift your head for long enough, the views are un-beatable. This is Southern England at its very best. This year’s entry was closed by the organisers at 1500, a small increase on last years limit. Riders were started in groups banded by target times and distances, this allows riders to settle into groups of the same ability as early as possible, which really helps the event flow and encourages riders to ride within their ability. With so many riders of mixed abilities riding together there can always be problems but whether it was the stern briefing, sunny weather, or great atmosphere, everyone seemed to be having a great day and enjoying the challenge. Back at the finish the constant bleeping of the timing mat and high energy chatter showed most riders were finishing on a great high. Complimentary tea, cakes, and great T-shirt were handed out and for those up for a really good feed the legendary “Good Old Southern Chilli” really hit the right note. A good day? – Well according to the Southern Sportive guys, to make a really great ride you need everything to be right, The location, course, organisation, atmosphere, weather, but non of this can come together without a really great team and they believe they have the best and after Sunday I don’t think many would say otherwise. I really enjoyed the sportive. A nice 155km route over some beautiful Hampshire lanes with cracking views, moderate climbs and my favourite bit: the satisfyingly quick finish. Roads were mostly quiet, although gravelly in places, and well signed all the way through making the course easy to navigate. Also great company, as is to be expected from a London Dynamo peloton, we’ll be back next year. It was a great way to spend Sunday even though we train here often. We rode the 155km route together in 6 hours and 13 minutes. It was warm, but windy which made some parts of the route feel like cycling through treacle! Of all the hills this year Duncton was the most draining climb – even the Ford GT8’s from Goodwood Revival were crawling up it! A great scenic ride, with several challenging climbs, this was my second riding of the southern sportive, and was pleased to finish in 6 hours 10 mins to gain a silver time, beating my bronze from last year. A great event, well organised with plenty of energy drinks and snacks at the three well placed feed stops, shame about the wind towards the end, making a tough ride a little tougher! This was my first ever Sportive and first time riding 96 miles. I was very apprehensive at the start but well prepared with energy products. The first 70 miles were great as I met so many people on the route. I thought it was an extremely hilly course and I had to dig deep in the last 30 miles. Thanks for organising the event, see you next year! This was my second year riding this event and I’m happy to say it was every bit as good as the first one – in fact it was better as I didn’t blow after 15miles this time. I could only remember several sections of the course so it was refreshing to ride and rediscover many sections I had forgotten about. The course starts out flat with one short sharp rise after a couple of miles to break the groups up and then settles into a rolling rhythm. The next hour or so takes you through the beautiful back roads of Hampshire and Sussex passing some quiet villages in the process. The only real climb comes about 25 miles in but once over this it was flat out to the first feed where the guys from USE where serving tea & coffee as well as food to riders. As the course changed direction so did the wind and it was a grinding headwind most of the way round to the second feed. From here on in it was a mixture of fast descents and flat roads so everyone was gunning for a time and a good way to finish of the day. This is an excellent event. The organisation, signage, feed stops and their positioning are all first rate as are the courses and I would recommend the event to anyone. The three distances on offer caters for all abilities and it’s great to see so many new people getting out on their bikes and trying the shorter distance events for the first time.